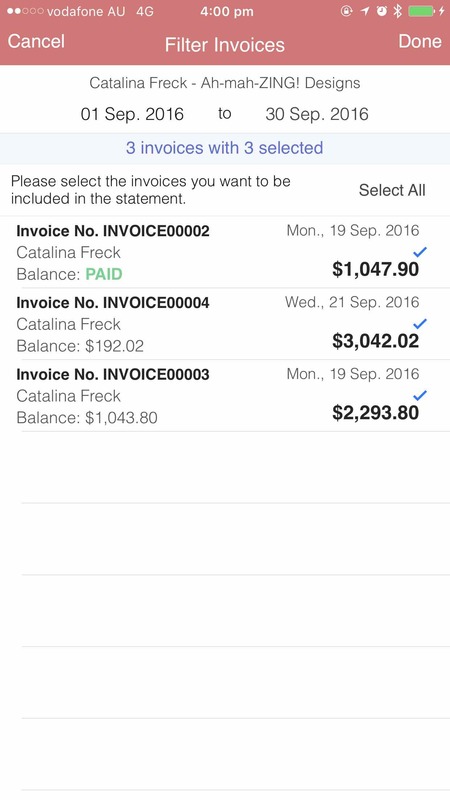 To create a statement, go to the 'Statements' section then tap on '+' and select the appropriate invoices to add to the statement. Note: Press 'Select All' to select all filtered invoices to add. Note: Invoices selected for statement inclusion will display a blue tick. 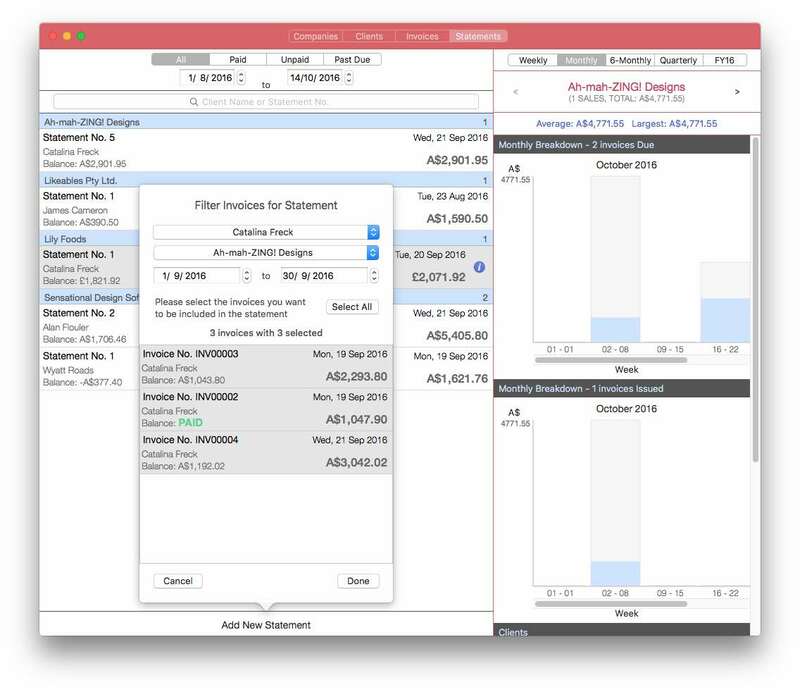 Note: Invoices selected for statement inclusion will be highlighted in light gray.